Berlin baby! After and incredibly long day we arrived somewhat wilted but none the worse for wear. No luggage lost, only minor misadventure, and really too tired to do much more than have dinner and get some sleep. 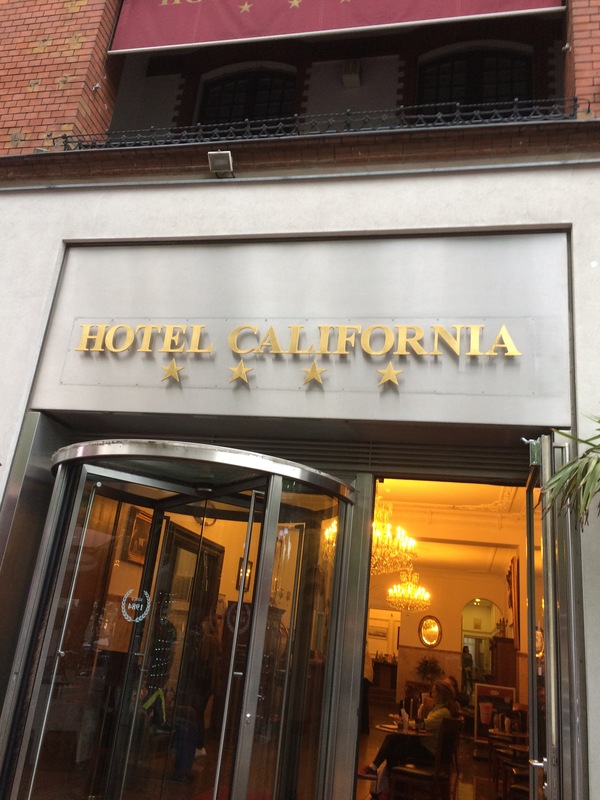 We really are staying at the Hotel California, and that song has been on loop in my head since we first learned we would be staying there for the congress. I can however confirm that there is no picture of the Eaglesin the lobby, but lots of people on the street takes photos of the sign. Kudos for clever marketing! One of our group is determined to find something wonderfully branded to bring home. Working dinner number one! 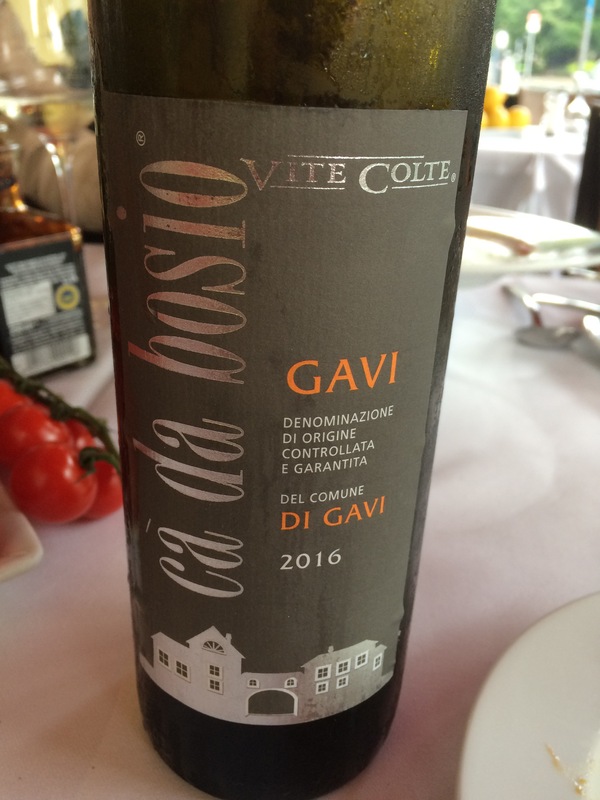 With four of our five already arrived, (our fifth travelled early and took the train from Prague) we met another from our workplace and shared an amazing Italian meal at a restaurant called Nuevo Mario. The staff was Italian and spoke it as their first language so it felt a little surreal. 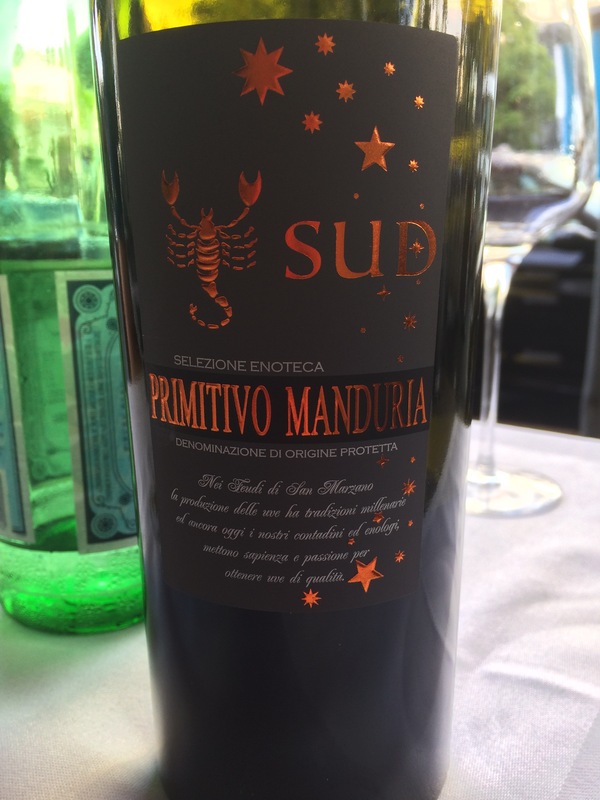 The group ended up sharing some great wine (which doesn’t get expensed so big thanks to the person who bought the wine) and pasta so good that I could have eaten the meal all over again. 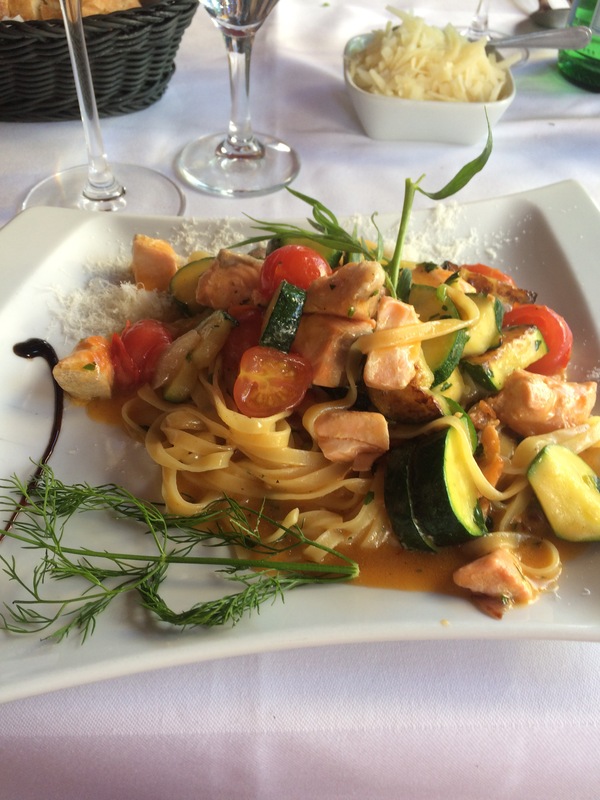 Fresh tagliatelle with salmon, so good. 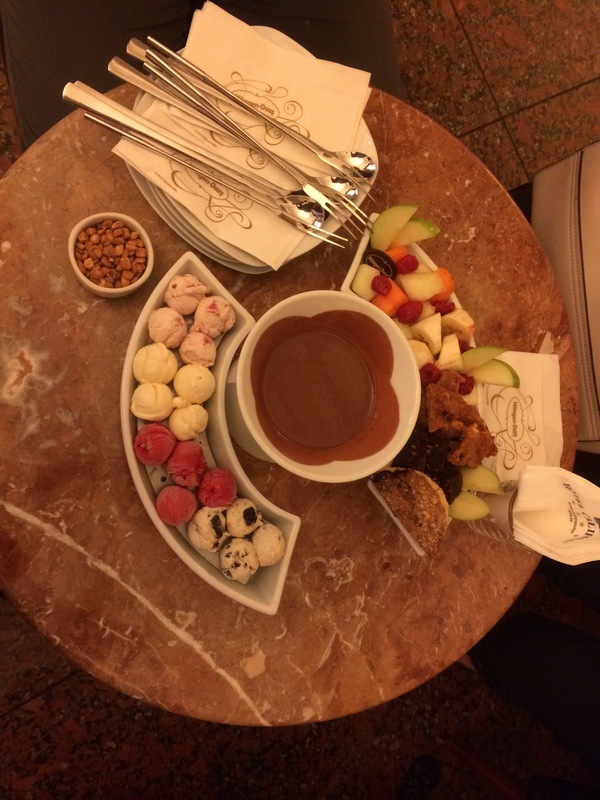 The group meandered back to the hotel and split a chocolate fondu from the Haagen Dazs shop IN OUR HOTEL. No wonder the band never left. We went to bed at a decent time but It’s going to be a loooong day. Thanks to travel and time zones I’ve been up and wide awake since just before 5:00. We’ve got a business meeting first thing and a full day of seminars to attend so I know I’m going to regret the early rise sooner than later. Today’s goals in no particular order: register for congress, learn how to take public transit, stay awake through presentations, drink coffee, make peace with my hair because I wasn’t expecting 90% humidity and I’ve frizzed up like Richard Simmons. Catch you soon with Day 2’s adventures. Those food pics look really good! I’ve always wanted to go to Berlin, but have never managed yet.